Over the past decade, severe price competition was the prime characteristic of the UK grocery retail space. A major victim of the rise of the discounters were the main street retailers: Tesco was constantly losing market share from Lidl and Aldi, while Poundland, the largest pound shop, and the likes were enjoying generous valuation metrics in a series of M&A transactions. The traditional supermarkets are not giving up, however. 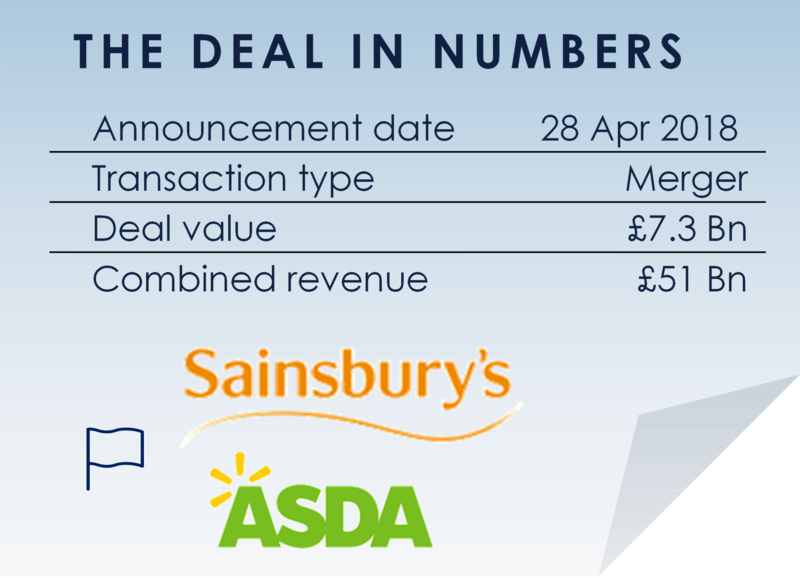 Following the recent Tesco-Booker consolidation, the announcement of a merger between Sainsbury’s and Asda, the second largest supermarket and Walmart’s British subsidiary respectively, shook up the UK food retail industry. The potential combination will create а leader controlling 32% of the market. The profitability throughout the supply chain will be further squeezed; Sainsbury’s will benefit from Walmart’s international ties and logistics, while Asda will take advantage of the successful e-commerce practices at Argos (Sainsbury’s catalogue retailer). In addition, combining Asda’s weak position in the South with Sainsbury’s far from stellar results in the North and Wales will produce a truly complimentarily store portfolio. While the investment rationale for the merger is evident, obtaining regulatory approval is far from certain: it is difficult to see how this combination can get around competition concerns without some major remedies. If it materializes, however, the deal will certainly reshuffle the U.K. food retail industry. SORTIS View: We believe the retail consolidation is likely to spread across Europe in an attempt to compete against aggressive discounters and the rise of e-commerce grocery platforms like Ocado.